On behalf of the Worshipful Master Anthony Straquadine, Officers, and Members of Pearl of the West No. 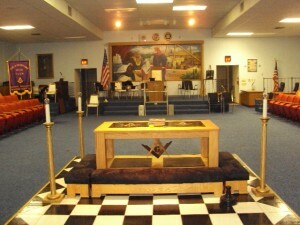 146, Free, and Accepted Masons, Welcome! Pearl of the West was chartered in 1922. We are located in the city of New Port Richey at 6319 Louisiana Avenue. Dress is business casual, and visitors (including non-Masons) are always welcome. We have Stated Meetings on the 2nd Monday of the month and Called Meetings on the 4th Monday. If you are planning to be in attendance, please join us for dinner and fellowship beginning at 6:30 PM with the meeting following promptly at 7:30 PM. Freemasonry is perhaps the oldest fraternity still active today, publicly organized in 1717 with the formation of the Grand Lodge of England and based upon traditions at least as old as the late 14th century. It is dedicated to the cause of helping good men become the best husbands, fathers, brothers, and citizens that they can be. It teaches and instills enduring virtues like truth, honor, integrity, charity, perseverance, service, equality, liberty, and justice. Men of good character from all races and creeds, who can express a belief in Deity and in the immortality of the soul, are welcomed through its doors. No one is asked or invited to become a Freemason.